You probably know all the basics that go into making wine. You’ve got the grapes, the yeast, the sulfites and the tannins down pat, but a recent WineEnthusiast article shows that so much more than grapes, fermentation and patienceÂ makes the wineÂ on your table. Winemakers often add potassium sorbate to ward off bacteria — just like inÂ cheese.Â Enzymes removeÂ impurities after fermentation and certain acids may be added to a wine toÂ act on color, particle stability,Â aging and microbes. Winemakers may add certain agents to boost a wine, whether it be flavor or alcohol. You may think those grapes are naturally sweet enough, but WineEnthusiast explains that sometimes winemakers have underripe grapes, so sugar is often added to boost the alcohol content. Sugar can also improve mouthfeel. 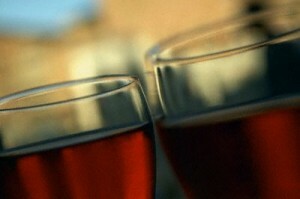 AÂ wine-grape juice concentrate called Mega Purple may be added to boost color and sugar. Oak chips, powders or staves in different flavors like vanilla or leather can help improve consistency. So there you have it: this is how your wine is made.